There are a lot of great products out there. Listed below are a few that I use and would highly recommend.I am a big believer of using tools that will help you make more money and make doing that a whole lot easier. I am also a big believer or being a life long learner. Check out the resources I have for you below. If you are looking for a website for your real estate investing business, I have a great product for you from Investor Carrot, and yes it is “crazy simple” to get started. You can actually have a website up and running faster that you can eat lunch. Not only is it a great product (I use it myself), but it is very affordable. If you're not really a “techie”, no worries. They have great videos to help you out if you need a little assistance. Just click here for a demo and to learn more about Investor Carrot. Lunch Time Profits System by Erik Hitzelberger and Bryan Snider. If you are looking for a complete system that will teach you exactly how to make full time profits working just a few hours a week, then this is the system you need. There are 13 modules and 25 forms included in this comprehensive program. Whether you are a complete newbie looking to get started or you already have a real estate investing business that has you completely overwhelmed, this course will show you how to create systems that allow you to earn full time money working just a few hours a week. Flip this REO by Steph Davis. If you want to learn how to buy bank owned properties, Flip this REO is a comprehensive “road map” for you to quickly become an expert. Flip this REO It is also a wealth of general information when it comes to buying single family homes. This is a great book. Cash Buyer Ninja; The Ultimate Guide To Buiding a Kick A$$ Buyer's List by Steph Davis. 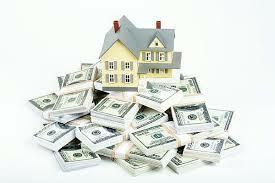 Cash buyers are the lifeblood of your real estate business especially if you are a wholesaler. But where do you find them? How can you get them on YOUR buyers list? Now you have a proven way to do that fast! Marketing Commando by David Corbaley. Just Click Here. Mitch Stephen has written what has become one of my all time favorite books. It is written in short chapters and is not only book about how Mitch has grown his business, but also about the challenges he had along the way. I'm sure you will love this book as much as I did. Disclosure: Please note that some of the links on this page are affiliate links, and at no additional cost to you, I will earn a commission if you decide to make a purchase. Please understand that I have experience with all of these companies, and I recommend them because they are helpful and useful, not because of the small commissions I make if you decide to buy something. Please do not spend any money on these products unless you feel you need them or that they will help you achieve your goals. Hi Sharon, where can I get info on your mentoring program? My wife and I are starting up part time with a goal of full time within a year or two.. We would like to start by wholesaling and probate interests us very much. My question. In your state, is there a stipulation that a probate property must be sold for a percentage of an appraisal from a court approved appraiser? I have been told that, in Ohio, it must be sold for 80% of the appraised value. No it isn’t. Here you just make your offer and if the seller agrees, then they just present the contract to the court/probate attorney. I would ask one of the closing attorneys in your REIA. You should come to my next marketing event in Nashville at the end of September. REIMarketingMastery.com if you want to check it out. I was wondering if you can help me build a buys list for wholesaling real estate in the usa? Why do you want to do that? How many deals are you currently doing each month? Hi Sharon! I found you from BP and have really enjoyed your articles/interview on the podcast. I was wondering, I see the Cash Buyers Ninja product on your “recommended” page, is that something you have used before? I know you’re a great wholesaler and building a buyers list has been something I’m struggling with so far. Any advice on what you think of the product would be great! Thanks! Walter. I am an affiliate for that product because I love it! I have a great cash buyer’s list now, but I only wish I had this product years before. I struggled for a long time when I was just starting out. I know Step and I have both her products. One more tip is to find out who the “real players” are in your REIA group. Most of my best buyer’s came from that group. Just click through the link on the site and take a look. It’s a great product for under $50. I highly recommend it. Thanks Sharon! I think I may have to purchase it 🙂 I just re-listened to you BP interview today and learned a bunch again! I def need to look into more info about my local tax assessors website to find cash buyers. Thanks Sharon! Ben Leybovich recommended you to me. I lived in Cincinnati, Oh. for almost 30 yrs. Currently, I am a Licensed Realtor in East Hampton, NY. On Sept. 20, 2013, my daughter married a great guy in Louisville, KY., where they had both been transferred for their jobs. They are looking for their first house or condo. I have been in commercial and residential real estate since the 1970s, closing hundreds of purchase money transactions. At one time, I owned 15 rental properties, getting out before the last market correction. Ben and I have been speaking about his new commercial property syndication program. I mentioned to him, that in addition to my interest in multi-units in the Louisville area, that I’d like to find my daughter and son-in-law a nice house. Their budget is $80,000-$120,000. They are interested in Butchertown, Germantown, Highlands, St. Matthews, to name a few. I don’t know if you have any inventory in these areas, or not. As usual, with newly married people, down payment, is an issue. They both have excellent jobs, and I believe good credit. Thanks for anything you can do for us. Rich – I don’t hold any property at this time. I will be going to my REIA meeting tonight. I will ask around and see if anyone has anything.